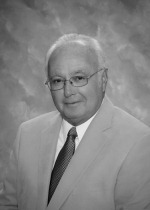 Al Forlenza, Healthcare Compliance Advisor - has over four decades of experience in healthcare. The majority of his career was with Blue Cross, where he served in various capacities including: Director of Provider Audit, Reimbursement and Contracting and Sr. Director of Provider Relations for both hospitals and Physicians in 13 counties of Northeastern Pennsylvania. Mr. Forlenza holds a bachelor’s degree in Business Administration and Accounting. He has served as a Healthcare Compliance Advisor with BCE for nearly 9 years. Mr. Forlenza is an active member in the Healthcare Financial Management Association (HFMA). In the Northeastern Pennsylvania Chapter, has served as president and currently serves on the board of directors. In 1990, he was honored with The Founder’s Medal of Honor Award and subsequently received a life membership. Debra Hartz, Executive Office Administrator – Deb has been in her current position with BCE Healthcare Advisors since 2004. Her experience as a practice administrator for both a surgical and family medicine practice and her managerial experience at Blue Cross of North Eastern Pennsylvania, enhances BCE’s internal operations and external communications with clients.